ACUVUE DEFINE TM . Daily disposable contact lenses makes your eyes look bigger, brighter and more beautiful so subtly and naturally that nobody will know your secret. 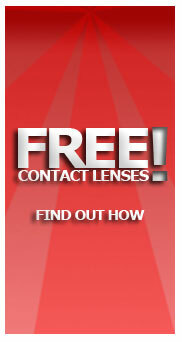 Choose from 2 different styles of contact lenses to suit your personality! 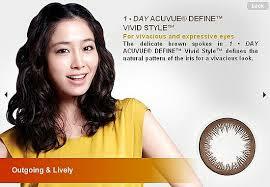 Vivid Style lenses enhance your beauty in a natural brown, subtle way. They make your eyes look bigger, brighter and more beautiful, in a natural way that nobody will know your secret.